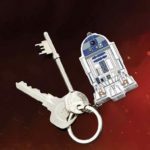 For any Star Wars fan fearful of slipping too far over to the Dark Side, this handy little R2-D2 Torch is just the thing to guide the way safely back. Designed like the cute astromech droid from the hugely successful Star Wars films, the small pocket torch comes with a keyring attachment, which makes R2 the ideal portable companion – always ready to help out when needed, no matter what dark corner of the galaxy you find yourself in. 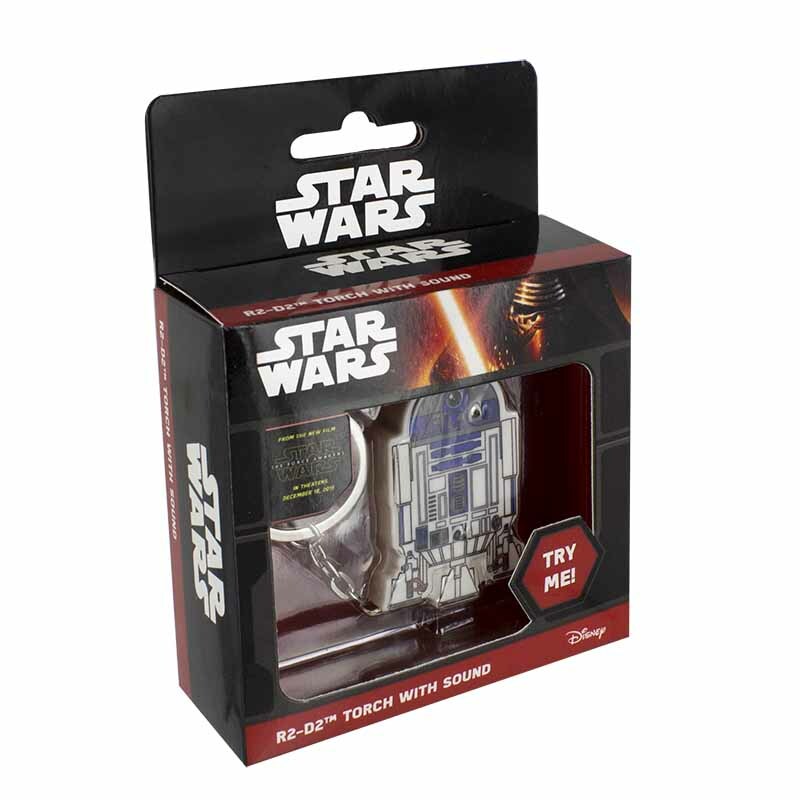 To add even more fun to this charming little gadget, the R2-D2 Torch also plays authentic character sound effects, with R2’s instantly recognisable beeps, bleeps and whistles sounding when activated. One of the most popular fictional robot characters of all time, R2-D2 has become an icon of popular culture ever since the original Star Wars film was released in cinemas world-wide in 1977. 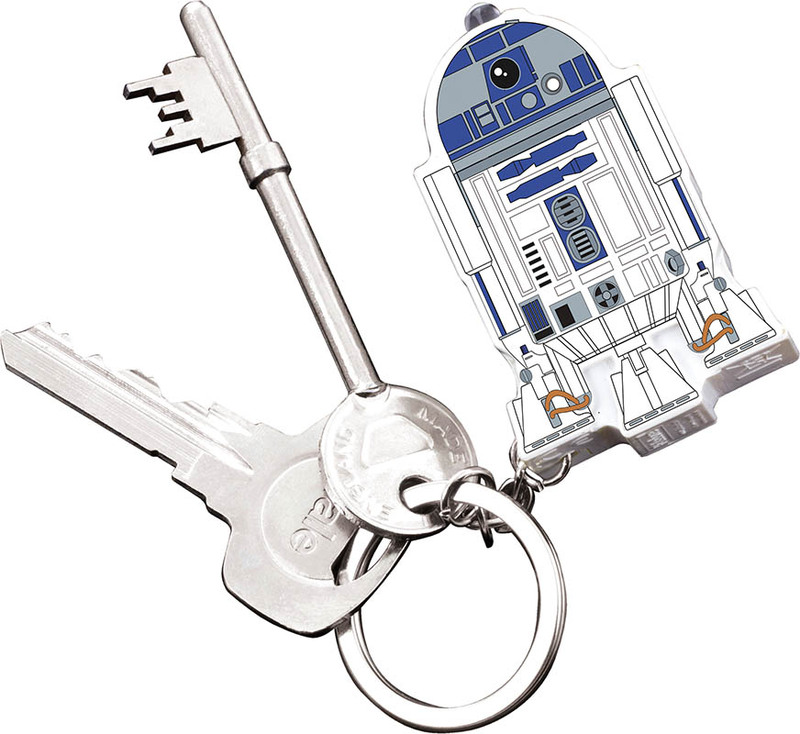 R2 has appeared in all the subsequent sequels, prequels and spin-offs, and is a firm fan favourite thanks to his cute appearance, friendly beeps, and uncanny ability to always save the day. Requires 3 x 1.5V AG3 batteries (included). Batteries can be replaced by following the instructions included on the packaging. Due to small parts the R2-D2 Torch is not suitable for children under 36 months.